ElitePersonalFinance has created this special guide for people with bad credit looking for fast and easy loans. The steps that we have listed in the guide are not only there to help to those with bad credit, but also those who want money fast. So, this guide will be different from most of the articles you have read on getting loan with bad credit. Getting a loan with bad credit and getting a loan that you need very fast are two different things. But if we combine them, you actually become an easy target for unscrupulous lenders who want only to manipulate people whose only option is getting predatory payday loans with high interests. That is how they get people in a vicious circle of debt. In this guide, we will be fast too. We understand that people who want money fast probably don’t have too much time to research online. Give us 10-30 minutes and you can be sure that you even don’t have to read other articles online! We will walk you through many options based on your financial situation (credit score, current debt, how fast you need the money, and so on). In addition, we won’t talk only about loans but give you many more options to get money without even registering with personal loan companies. We will also talk about the danger of “easy payday loans”, what risks are hidden there and how to avoid them, and in what rare cases you can use them. And of course, we will also talk about personal loans for people whose credit score is not so bad. For them, we will give many more options. Can I get a personal loan if I have bad credit? Yes! You can get a personal loan with a reliable rate, you just need to be more selective. These days, the loan market is much more flexible than a few years ago. There are options for everyone. How fast do you need the loan? If you need the money really fast (for example, today), then this is a problem and your options can be limited. In this case, do all you can to increase the time frame. If by getting a quick loan you mean a few days or a week, then don’t worry. We have a lot of time to work on choosing the best option for you. Is my credit score really bad? Many people actually don’t have a perfect credit score, but this does not mean that their credit is really bad. Bad credit means different things to different lenders. In the list below, you will find legitimate lenders that have no credit score requirements ‒ they start at 0. Shop around and compare offers! Every lender will give you different terms and there is no better way to make the right decision than by comparing different offers. Register with many companies and get quotes, you won’t make a mistake. With every legitimate loan company, registration is absolutely free and very fast. In addition, when you receive offers from them, you absolutely have no obligations to accept them. Get many offers and compare. Wait for a few days if you have that much time. When you register and complete their application process, you will start receiving offers instantly. Some of them will be there in a few minutes, but others you will get in several days. So, wait until you compare all offers available to you. ElitePersonalFinance has researched over 100 biggest companies in the lending business. We focused on those who work with people with bad credit. 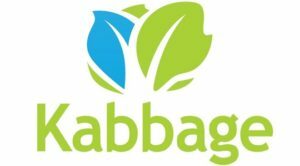 We carefully analyzed their reputation, terms, interest rates and APR, loan amount, additional and hidden fees, as well as their minimum credit score requirements. We picked some of the best companies available to you. Make sure you go through all of them, because each one is designed for a specific group of people. Some work better for secured loans, others for unsecured. Some will give you a lower amount of money if you have really bad credit, others require a minimum credit score but give more money on better interest terms. And because we know that you need the loan fast, we extracted all of the important details for each loan. This will help you make your decision faster. If you are in a bad financial situation, you don’t have too many options. 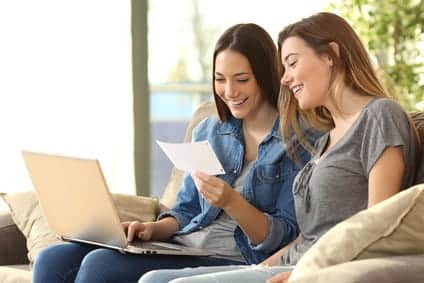 If you need fast cash and are a step away from risking your financial future by getting easy payday loans and probably getting into a debt cycle, try BadCreditLoans first. Bad Credit Loans is a company targeting people with really bad credit. According to their website, their APR is 5.99% to 35.99%. If you have really bad credit, your APR will be close to 35.99%. But there are also chances that you won’t receive an offer with a higher APR or you won’t receive any offer at all (this typically happens when your financial situation is really bad and the lender thinks that you cannot pay the money back). And although the APR of 35.99% seems too high, it is still in the personal loan limit, (personal loan is a loan with APR lower than 36%). This is still much better than getting a payday loan with the average APR of 400%. The loan amount offered by BadCreditLoans is between $500 and $5,000. For people with really bad credit who want up to $1,000 really fast, this can work great. Of course, if your credit score is not that low, you can try to qualify for an amount from $1,000 to $5,000. Although we can’t compare BadCreditLoans with traditional predatory payday lenders, we still recommend that you read the fine print carefully before you sign the contract, because there are still chances to get into a debt cycle. The good news is that there are no fees to register with this company and no obligations to accept their offers. BadCreditLoans is not a lender, but a marketplace. They recommend that you discuss the contract with the lender carefully before you sign it. You can receive an offer in less than 10 minutes and if you accept it, you will get the loan the same day. Their requirements are pretty standard, like those most loan companies have. You have to be at least 18 years old, have a valid phone number and email address, provide a proof of citizenship or legal residency, hold a checking account, and have a regular income for at least 90 days either through a job, disability, or Social Security. Update! PersonalLoan is different now. They have switched to something they call VIP publisher network. In brief, their network of lenders is much bigger and more flexible, so the chances of getting approved are about 2-3 times higher than a few months ago. Easy and fast approval if you meet their criteria. They work with people with bad credit, but not too bad. PersonalLoans.com is a huge loan marketplace and now a lender itself. In brief, you register with them, you submit your application and PersonalLoans tries to find you offers from different lenders. Because of their huge network of lenders, you can receive really competitive offers if you meet their criteria (Note that although PersonalLoans can work with some people with bad credit, people with really bad credit or a bad financial situation probably won’t get approved). PersonalLoans.com works with three different types of lenders with different minimum requirements. Let’s review them and their requirements in brief. P2P lenders – They require a minimum credit score of 600 and a minimum verifiable income of $2,000. Bank lenders – They require a minimum credit score of 580 and at least $3,000 income. Personal installment lenders – They require a minimum credit score of 580. Requirements are similar to those most of the loan companies have: You must be 18 or older, be a U.S. citizen or permanent resident, have a valid ID, a regular income, a checking account, and a good credit score (If your score is not that good, you can still get a loan but the APR will be higher and the amount probably lower). You mustn’t have had an account with a late payment for longer than 60 days or a recent bankruptcy. You can’t have any recent charge-offs or a regular pattern of late payments. For people who meet their criteria, Personal Loans can be really great. We highly recommend this site. Be sure that you meet the criteria that we’ve discussed above. Because if you don’t, you will waste your time, you probably won’t be approved, and even if you are somewhere of the border of their requirements, you will get offers that are not so good for you (much higher APR, low loan amount …). Fill out an online loan request from. Provide your contact information and bank account details so that our lenders can determine your loan eligibility. Then we will send your request to their network of lenders. If you are approved, you will be forwarded a loan agreement where the lender will explain their specific terms and conditions. Read them carefully! If you have questions, ask the lender and when you get the answers, ask them where you can find them in the contract! Accept the loan if you agree. If you do so, the amount will be deposited into your bank account very fast, typically on the next business day. Upstart is a company founded in 2012 by former Googlers. It is a type of peer-to-peer marketplace lending company. Upstart credit risk system is a little bit different than that of other loan companies. Upstart is open to giving personal loans to young people who have short or no credit histories, but have reliable degrees and financial future. They consider factors such as education, employment and income history. Upstart is a BBB-accredited loan company with a rating of A+!!! Upstart can be a great fit for you if you have a credit score of at least 620 and a regular job with at least $12,000 verifiable annual income. If you are approved, the loan will be deposited within 1-3 days. Requirements: Credit score of 620, no bankruptcies, public records, reports on open accounts or delinquent accounts, fewer than six inquiries in the past six months and debt-to-income ratio lower than 45%. If you meet their requirements, you can get really easy personal loans at reliable rates. Loan amount can be from $1,000 to $50,000. APR: 8.16% – 35.99%. The average 3-year loan on Upstart will have an APR of 16% and 36 monthly payments of $34 per $1,000 borrowed, according to their site. Although there are no down payments and no prepayment penalty, there is an origination fee of 0% – 8.00% and also a late fee of $15 or 5% of past-due amount. Payoff is a BBB-accredited loan company with a rating of A+!!! Debt-to-income ratio: 50% or less. Minimum 3 ages of credit history. If you meet their criteria, you can find excellent offers, especially if you want them to help you to get out of debt. Great and fast customer support, on the same business day when you need it. Payment flexibility – if you can’t release the payment, they will work with you instead of giving you a late payment fee. Free monthly FICO score – this is a great feature that many other loan companies don’t offer. Upgrade is a relatively new company, but it is growing fast. It has been on the market for about 3 years only, but many big personal finance sites have decided to review it. And not only that, but they have also placed it at the top of their charts. Use Upgrade if you meet these criteria. Your credit score is 620 or higher. You end up with $1,000 or more after paying your monthly bills. In brief, this means that they care about your actual income, it is important to them that you can actually repay the loan. Upgrade can also help people who have lost their job recently, but in this case, make sure to read the fine print carefully because there is a $10 late fee after the 15-day grace period. Upgrade has an A rating on BBB. Upgrade offers unsecured personal loans, they don’t require you to put any collaterals on it. Their rates are fixed, but you have to be careful about late payments or subsequent charges and fees that can increase the loan. If you a loan with them, you have to visit Upgrade and complete their application. They will ask you a few basic questions there to try to find the best loan for you. It’s free to apply, of course, and there is no obligation to accept any loan offers if you don’t like them. If approved, your personal loan will be deposited really fast, in less than a day. Lending Point targets people with bad, poor and average credit score. However, your credit score has to be at least 600. There is one specific thing about this company ‒ they pay more attention to your salary. If you make over $20,000 verifiable income per year, you are welcome. In case you make more than this amount, even if your credit score is low, LendingPoint can offer you cheaper loans very fast. If you meet their requirements, you are welcome to apply for a loan between $2,000 to $25,000. Their APR is competitive: 15.49% – 34.99%. Debt-to-income ratio has to be 35% or less. Once approved, your loan comes in very quickly, on the next business day. Every U.S. resident who is over 18 years old, has an SSN and verifiable bank account and meets the criteria listed above, can apply. There hasn’t been any good opportunity for people looking for bad credit loans so far. But now, there is One Main. This is a well-known and established company which is almost 100 years old. It has a BBB Rating of A+. What is typical for most personal loans that work with bad credit is that most of them have a minimum credit score required (typically 600-640). One Main doesn’t have this requirement and people with a credit score below this range are welcome. This company is really flexible because they offer both secured and unsecured loans. If you want money fast, you have really bad credit and are ready to put something that you have as a collateral, for example your car, then you can get a personal loan with One Main. Although they don’t provide clear information on their APR, you can expect it to be between 17.59% and 35.99% for unsecured loans. However, for secured car loans, their APR starts from 9.99%. Expect an amount between $1,500 and $25,000. There is no minimum debt-to-income ratio requirement. OneMain is a great choice for secure loans. Peerform is slightly different than the companies we have reviewed in this post on fast and easy loans for people with bad credit for one reason. If you work with them, you will have to wait 1-2 weeks to get your loan. But for people who can wait this much, Peerform can be a great company that you mustn’t skip. They are one of the best-known peer-to-peer lending platforms. They focus on people with bad credit, but not lower than 600. Also, there is no minimum income requirement. Debt-to-income ratio has to be 40% or less. If you are here to consolidate your debt and don’t have a long credit history, then Peerform can perform great for you. Their site has a rating of A on BBB. Loan duration: 3 – 5 years. Late fees are $15 or 5% of the payment amount, but there is a 15-day grace period. Let them know and there won’t be any late fee. Are you in the process of building credit? If so, note that if you regularly release your payments with Peerform, they report your activity to TransUnion, which leads to improving your credit report. Avant is a great pick for people with bad credit looking for fast unsecured loans. Bad credit is ok for them, but not less than 580. Below this value, you won’t be accepted. People with poor credit can apply, but their interest rate will be high. People with over $40,000 per year can benefit by getting a great APR. They are a really popular company among people looking to consolidate their debt, although their loans can be used for other purposes too. The customer support is great. Loan duration: 2 – 5 years. There is neither a set definition of the term payday loan nor the exact law that describes the difference between these two types of loans. However, the difference between them is pretty obvious. Personal loan is a loan that is repaid in installments (for example, one payment per month). These loans are high, typically between $1,000 to $50,000, and the APR is under 36%. Payday loan is typically a short-term loan of $500 or less, very high ARP (400% on average), and it has to be repaid one-time (typically in 2 weeks or a month) – on the next pay day. The gap between these two is really obvious. Therefore, a new term has emerged in the lending industry – alternative payday loans. The easiest way to define this term is – alternative payday lending is everything that is between payday loans and personal loans (between 36% and 400% APR). What is typical to these companies offering alternative payday lending is that they try to be more flexible based on the person’s profile. For example, with people who have very bad credit, they have to play very close to the terms that a payday loan company has determined. But step by step, if they start repaying the loan on time, educate themselves, increase their credit score and so on, they get awarded with a lower interest rate and a higher loan amount allowed. So, for people who have a credit profile above average, repay their loan on time and have a reliable income, alternative payday lending looks much closer to a typical personal loan company. Although we have decided to use these 3 terms separately – payday loans, alternative payday loans and personal loans, they can’t be clearly differentiated. For example, there are some alternative loans, where if you have really bad credit or a financial situation, you will pay a higher interest than with payday loans, which we set to 400%. Also, people in a relatively stable financial situation can get terms that are close and even better than some personal loan companies can offer. Some financial experts say they are close to predatory in some cases. What is an Installment Personal Loan and Can I Get it if I’m with for Bad Credit? They are installment-based. Installment loans are paid back in installments (monthly payments). High loan amount. Typically, people get $1,000 to $50,000. The repayment period is typically 1-5 years. Low APR. With banks and credit unions, you will probably find some better offers than with online personal loans. But if you compare them with payday loans, for example, then personal loans are much better. We always say that a personal loan has an APR lower than 36%. Personal loans typically come with a fixed interest rate. This means that the rate doesn’t change while the loan lasts. Note that some personal loans have a variable interest. 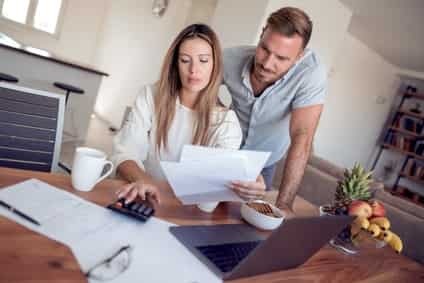 The downside of a variable interest rate is that it can change under any circumstances, like not repaying the loan on time, changes in your credit score and so on. They lower your credit score by a few points. Note that in the application process, lenders won’t perform a hard inquiry. A hard inquiry will be done after you have been approved, but it lowers your credit score by a few points. Some of the online loan sites are big platforms where many lenders do business. Some of them are predatory scam lenders. Be careful about them. Carefully read the fine print before you sign. Personal loans can be secured and unsecured. Although many bad credit personal loans still have restrictions for people with really bad credit (high APR, low loan amount, or they will just not give you money because they feel they will risk with you), secured loans can change this entirely. If you put something in a collateral, for example your car, then you can significantly increase your chances and find many better offers for you. However, you have to be sure that you will repay the loan on time. If not, then you are putting your possessions at stake. The same goes for the cosigner. If you find a cosigner, you will get much more reliable offers. But if not paid on time, the loan can put this person in a dangerous situation, risking their financial situation and probably your relationship with them. These days, getting a fast installment personal loan with bad credit is not a problem! Easy Payday Loans – Fast Problems! If you are really looking for fast cash and you have bad credit, payday loans seem to be tailored exactly to your needs. But the dangers of getting payday loans are huge. Payday loans are risky and they should be avoided. To explain why and what can happen if you get payday loans, let’s start with a basic explanation of what payday loans actually are. Little cash, typically less than $500. Some states regulate the amount of these loans, which is most often $500. The loan is repaid in a single payment on your next payday or when income is received from another source such as a pension or Social Security. Typically, this period of time is 2 weeks to a month. For every $100 you get, you have to pay back $10 to $30 according to CFPB. That is really a bad deal, because this would mean an APR of 400% or even more in some cases. Most personal finance sites state that the main problem is the high interest that you pay. For $300, you will have to repay $345 in 2 weeks. But in fact, this is not the main problem! The main problem arises if you can’t repay the loan on this date, so read the next point. Risk of being trapped into a debt cycle. Unscrupulous lenders want exactly this! That’s why they actually don’t care about your credit report (they know very well that it is low) and the ability to repay the debt! If you can’t repay the loan on this date, they offer you to rollover This means paying all fees on this day (in our example, $45). But they do not reduce the principal amount that you owe. And then they repeat this until you repay the principle amount. 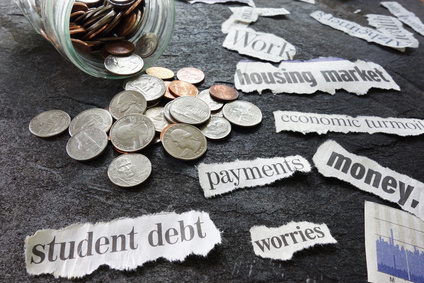 Unfortunately, stats by CFPB found that the average payday borrower remained in debt for almost 200 days. Why Payday Loans are So Common and So Many People Use Them? It’s a fact that millions of Americans use payday loans and yet no one discusses that. Stats show that only 1 in 5 people pay them on time. So, are there cases where you should go with payday loans? Let’s say that you are a young person with new credit history who has just started a great and well-payed job. You have some emergencies or need to cover some costs that you have really fast. But time is money and you don’t know or don’t have the time to research the big loan market and find better rates for you. So, you are absolutely sure that you will repay the loan on the given date or if not, you understand the consequences fully. Let’s say that you are sure that you will pay the amount and say bye to payday loans for a long period of time. In this case, get it. In brief, what we want to explain is that there are some rare cases when payday loans work. But keep in mind that payday loans are not always the best deal for you. Get a payday loan only if you know what you are doing! Do you know that you will pay more than with other personal loans? Do you understand the risk of not paying the loan on time? Are you ok with paying more interest and a bunch of hidden fees? Are you in payday loans only because you want to save time on researching? Are you sure that after you repay the loan, you will say bye to payday loans for the next few years? If the answer to all these question is yes, then you probably know what you are doing. ElitePersonalFinance is a personal finance site that is here to provide transparent information and help people make better financial decisions instead of manipulating them where to go and who to buy from. We don’t mess with your money. Your money, your choice. Ok, you get one payday loan because you needed money fast and you repay it. This has to be your last time that you got a payday loan. If you plan to get loans often, start working on your credit score and learn more about the loan market. Next time, you will get much safer and cheaper options. Payday loans laws by state? Do you know that payday loans are not legit in some states? In other states, they are legit but regulated by laws, while in some they are not regulated at all. Here is a list of payday loans laws by state. What to do if you are already in a debt cycle? Read the tips from CFPB. Auto Title Loans are very similar to payday loans because they are short-term and very expensive loans that you can get easily. And … debt cycle you in a debt cycle exactly like payday lenders do. The APR is typically high. The difference is that you put your car in a collateral. If you can’t repay the loan, the lender can get the car from you or can offer you a rollover – exactly what payday lenders do. The amount that you receive is typically less than the amount of the car. And you are required to pay it back in 2 weeks to a month. Auto title loans are a bad deal and we highly recommend that you avoid them! Use them only if you know what you are doing – the same as we said about payday loans. Auto title loans are illegal in some states. Banks are for profit organizations. They offer lower interest rates and high fees. Credit unions are non-profit organizations. They are owned by their customers. They typically offer high interest rates and lower fees. Local credit unions work with people with average and even ban credit. Their interest rates are lower than those of online personal loans. They serve great to members who live, study or work in a particular area. If you meet their requirements, you have to pay a one-time membership fee and a deposit of up to $25. Then, you can apply for a loan. You can get both secured and unsecured loans at a fixed rate. The downside of credit unions is that they perform a hard inquiry on your credit file, which lowers your credit score. We highly recommend that you check all these options when you apply for a personal loan because you can get better offers. Have you tried to apply for credit cards? Do you know that there are many credit cards available for people with bad credit? For most of you, getting a credit card will work much better than a personal loan. When you receive the card, you can spend all of the money on it within a day. Then, you will be required to pay the interest fee until you get it back on the card. You will also be required to pay the minimum monthly payment. If you don’t pay the money back, this minimum is typically a few percent. Elite Personal Finance has a great list of credit cards that can help. How to Deal with Bad Credit Score? It would be ridiculous to advise you to work on your credit report now if you need quick cash because improving credit report is not a fast process. Also, we presume that you don’t have the time now to read too much about how to increase your credit report. But there are things that you have to understand on this topic now. Everyone can get a free copy of credit report from AnnualCreditReport.com . Every American can get a free yearly credit report from this site, which is run by the Government. You can also get a credit report and more benefits like credit monitoring and identity theft protection from sites like Credit Sesame and Credit Karma for free. There are sites that offer paid credit monitoring and more advanced identity theft protection. For people interested in that topic, we wanted to let you know that ElitePersonalFinance has advanced articles, especially in the identity theft section. So, when you have time, you are welcome to read more from us J. If you need a FICO score, whcih most of the lenders use, you can get it from the official My FICO site, but it is expensive. There are many ways to get FICO score for free , as some of the loan companies reviewed here give free FICO score if you get a loan from them. Such a company is PayOff. Many credit reports contain errors and people don’t know this until they read them. Although working on increasing your credit score is a long process, it is great if you find some errors, because you can instantly request that they be deleted and your credit score will increase. Today is probably not a good day for you because you have bad credit and want fast money. But bad credit can lead to more days like this … Having a great credit report is an important thing. Bad credit steals money from you every day. Building great credit requires time. When you have time, we invite you to start with our article on ways to increase credit score. Go secured. Getting a secured loan will definitely increase the amount of the loan that the lender will give you and lower your interest fees even if you have bad credit. But this has one big disadvantage. You have to put something in a collateral, such as a car. This works great for people who are absolutely sure that they can pay back the loan on time. If not paid on time, the lender has the right to seize the collateral from you. Avoid lenders who don’t want to check your credit history, repayment ability, and other financial circumstances. Most of them are only predatory lenders, who only want to get you into a debt cycle. The fact that they don’t care about your credit report means that they don’t care if you can pay the money back, but only want to get you into a cycle of debt. Using a co-signer with better credit to sign for your loan. In this case, the lender will check the co-signer’s credit history to determine the interest rates and the amount. If your co-signer has a much better credit report that you, then you will get better terms. But this has one big disadvantage ‒ if you can’t repay the loan, you put the co-signer at huge risk. He or she is responsible for payments if you fail to do it. You risk his or her finances and probably your relationship with this person. Motivate yourself. No one can be sure that they will repay the loan on time although there are some people who, based on their financial situation are 99%, certain. However, there are others who can’t say this even with 50% possibility. Before getting the loan and in the whole process of repaying it, there is one positive thing. This can motivate you to start finding some ways how to make more money, like online business and so on. And also, it can change your spending habits. When a person deals with their own money, not everyone can do it seriously. But when you are dealing with money that is not yours, when you have secured your car for example, when you know that you risk your financial future, this can change considerably. Get a free loan time. Not a single saving expert will agree with me because this is a strategy that will cost you money. But the product that you buy actually is freedom, less stress and free loan time. What do I mean by that? Many saving experts will say not to get more money that you need, … so you will pay more interest, pretty obvious. Let me give one example with my first loan that I got. I was from a bank and the amount was $10,000, the interest rate was 7%. The total amount that I had to repay was about $700 over the amount. Ok, but this amount was over the actual amount that I needed. In fact, I needed about $5,000-$7,000 to cover my business expenses. The money that I got over this amount helped me start repaying the loan. So, in the first few months, when my financial situation was not great, I had the money to repay the loan and absolutely not to care about it. Instead, I focused on my business and how to make more money from it. And it worked. Because this free-loan time helped me a lot. How much did I lose? Let’s say that I got a big part of $7,000. The interest that I had to pay was around $490. This means that the difference was only $210. Some people with great saving habits will criticize me, for sure. But in my situation, things looked like that. For those $210, I bought a few months of financial freedom and instead of wasting this time, I focused 100% on my business, finding ways to make much more money and repay my loan faster. Next advantage – no one can predict what will happen in life. We always have some unexpected costs in our lives. So, putting some money in my pocket on the side was really a great idea. Of course, this was only one example where this worked. Let’s say that you have a regular income, great and reliable job that gets you a lot of money on time. Let’s say that you only needed a loan one time in your life to cover some unexpected expenses. Let’s say that you can count exactly the amount that you need and how much you can repay. In these cases, I wouldn’t recommend that you apply my strategy. Count how much you need exactly, discuss with your lender how much and when you can pay it back and go on with no extra amount. If you are sure that you know what you are doing, then go on. Read the fine print. Read carefully the contract and if you have questions, ask the lender. Check for many hidden fees. Note that people who sign the contract in an office and offline in some cases will be made to sign it fast without reading. Just sign here and there and here is the money – they will say … You have full right to read it carefully before signing it. Avoid payday loans and auto title loans. These are predatory. Interest rates are high and it is easy to get into a debt cycle. We highly recommend that you go with licensed companies who are BBB-accredited. Most of the companies listed in this guide are rated A+ on BBB. Make sure that the company is legit by checking loan law regulation by state. You should also check their physical address and if their site is secure in case you apply online. Try to avoid loans. Are you sure that getting a loan is your last chance? If not, we have completed a list with options that will help you avoid loan or significantly lower the amount you need. Here is the list of tips on how to avoid loans. Ask for a grace period. If you feel that in the next few months you will not be able to start paying the loan, ask for a grace period of time. Many loan companies can agree on a few-months grace period when they won’t require you to pay anything. Increase your credit report. 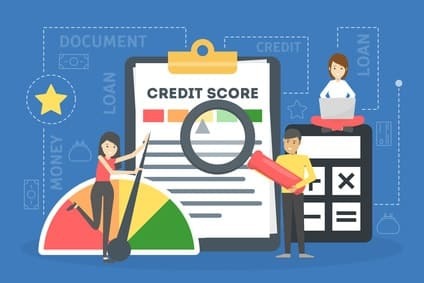 You should start working on your credit report, so next time when you need a loan, you will receive many more offers, a high amount of money and lower APR. Your credit score actually steals a lot of money from you. It’s not only about loans. Your low credit score will make you problems. Don’t get a loan if you are not sure that you can repay it. If you need money, you have to start working on your financial situation instead. Getting a loan fast when you have bad credit and not being able to repay it will only get you in a debt cycle. Getting a loan fast if you have bad credit is possible. The amount that you will receive is low and the APR is high. That is why we highly recommend that even if you are in such a situation, this be the last time that you read this article – How to get loan with bad credit fast and easy. Next time, we will be happy to see you on our page on best personal loans. Improving your credit score is not that difficult. It requires some basic knowledge, time and habits. We will really be happy if we were of help to you.